Have you considered adding on a room or building an apartment for one of your aging parents? Or perhaps having your children do the same for you? This article will tell you about the regulations that tend to be in place for this type of project, commonly called an ADU, as well as a better solution from Sidekick Homes. An ADU, or Granny Flat (mother-in-law apartment), is essentially a small additional dwelling intended to be accessory to a primary home. 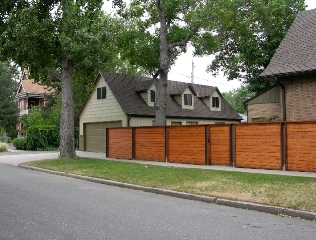 Most cities that allow ADUs also limit the size and use of an ADU. Generally the ADU is intended as an independent living space for an aging relative or other family member, though in most cases the home can be rented as well to supplement family income. Carmen and Edward Fron Live in a venerable old neighborhood. 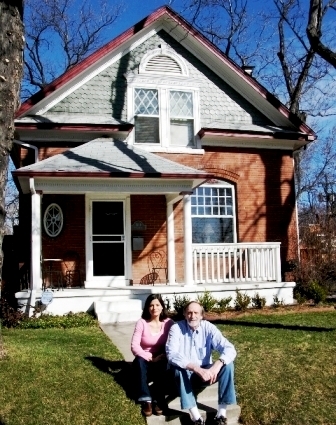 They share their small two-story Victorian home with their 3-year-old daughter and are expecting their second child in a few months. Carmen had reasoned that adding a living space above their existing brick garage would be a simple way to make room for their Uncle Paul. This would keep him close by while giving him his independence. The Frons, like many before them, soon discovered that their community’s current zoning regulations do not permit the building of such an addition to their property. Until recently this story was repeated in cities across the country, but now municipalities have come to see the benefits of allowing private homeowners to build affordable housing for seniors on their single-family home sites. Santa Cruz, California has led the way and the idea has spread across the country. An AARP estimate showed that somewhere between 75% and 80% of elder care was being provided by the children of elders, so they developed a model ADU zoning ordinance that cities and counties could adopt quickly. Sidekick homes was formed to try to make it easier for other people to have a well-designed, safe, and beautiful home for their aging parents (or themselves in their children's homes). The potential growth of the market and the opportunity to help people both at the same time was something that Mike Kephart and his team could put our hearts and souls into. Their mission is to provide beautiful, well designed homes that are Sustainable, Accessible and safe to use for older Americans. Sidekick Homes took the most common restrictions as guides and designed a line of small homes that can either be constructed in a modular plant, panelized or stick-built depending on the physical limitations of a homeowner’s property. Sidekick markets the homes on their website and through national appearances, and partner with a local builder to construct the homes. That way the ADU cost will be comparable to any new construction in the area, from a low of $70 per square foot in the South to over $200 per square foot in California. Sidekick is developing a network of builder-partners in the locations that are currently friendly to the idea of ADUs. Each of the Sidekick qualified builders is a recognized expert in Green technology, Universal Design for accessibility, and small infill construction. Sidekick offers standard home designs. But if one doesn’t quite fit a family’s needs they will soon offer a “Design Your Cottage” page on their website that will let homebuyers design their own ADU and have that design in their hands in less than 5 minutes.